To compliment your new kitchen, you need a range of appliances that will withstand the test of time. 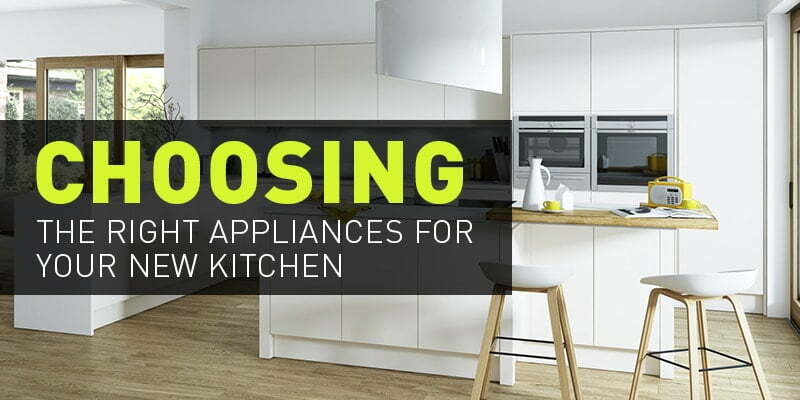 Appliances are long term investments, so it’s important you choose the ones that are perfect for your style, from top brands such as NEFF, Bosch and Belling that will provide valuable use for years to come. From free standing cookers, to built-in wall ovens and separate cooktops, there is so much choice when it comes to your culinary essentials. A range cooker is a fantastic selection for a traditional kitchen and is often referred to as the heart of the home. Choose from cast iron, stainless steel and even budget models that offer a classic country look for a fraction of the price. Come and see the new Belling range cooker on display in our Sheffield showroom now. If you’re looking for something more contemporary, there are an abundance of ovens on the market with new technologies that aim to improve the cooking experience. Double ovens, wall ovens and separate cooktops give you much more flexibility in the kitchen. Check out the NEFF Slide&Hide® oven at Direct Kitchens, where the oven door disappears under the open cavity, giving you more space and easier access to the oven. It’s important to choose the right extractor fan that will not only work with your cook space, but will also fit in with your kitchen theme. Direct Kitchens offer some of the most innovative extractor fans available, that can seamlessly blend into your design. This includes decorative cooker hoods to make a statement, and downdraft extractors that are hidden away under your work surface for a minimalist look. Another key appliance in the kitchen is the refrigerator. When deciding upon which style is right for you, be sure to think about the space it will use and how many people will be using it. For example, if you have a large family, an American style fridge-freezer would be the perfect addition as they offer ample storage. As with many appliances, you can have your fridge integrated into your cabinetry for a streamlined design. A microwave, dishwasher, hot tap, built-in coffee machine and even a wine cooler are all additional finishing touches you may consider for your kitchen. These extras help to build a kitchen you can enjoy, whether you’re simply relaxing with a coffee, entertaining friends or cleaning with ease after cooking a hearty meal. At Direct Kitchens, we offer hundreds of appliances from brands including NEFF, Stove, Gorenje, Bosch, Rangemaster, Caple, Belling and more, and will guarantee to beat any like-for-like price quoted when you purchase them with your new kitchen. Our designers have a vast amount of knowledge on each product and can advise you on the perfect appliances to suit your taste and kitchen style. Come and speak to one of our designers in our Sheffield showroom, or if you’d like some more information over the phone, you can request a call back at a time to suit you here.